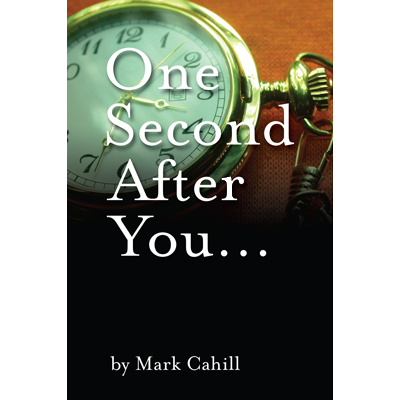 This new booklet from Mark Cahill Ministries covers all the major subjects of witnessing—proving there is a God, creation versus evolution, the truth of the Bible, the existence of heaven and hell, the presence of sin in every person’s life, the cross of Jesus Christ, and the resurrection of our Lord—in 64 simple pages. Some people may not read the Bible, but they will read many of God’s words in this booklet that contains over 100 Scripture verses. Getting this booklet into the hands of the lost people will help them reason through the collision course they are on in life. They are searching for spirituality, but are finding substitutes that seem real but are not. 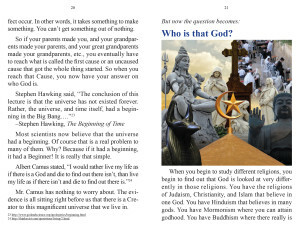 This booklet will help shed those worldly misconceptions and direct them to the Truth that saves. We’ve made this booklet to be very high quality with glossy pages and pleasing artwork inside. It is appealing to the eyes and feels good in your hands. You can be confident when you give these away that you are handing someone a quality product that they will enjoy having and reading. Its small size slips easily inside a pocket or purse, and so is less cumbersome than a book, but includes way more truth than a tract. I really think you are going to love giving these booklets away to the lost people in your life and in mass quantities everywhere you go and witness. It is a great tool to help you flood those football games, malls, beaches, schools, neighborhoods, etc. with tons of Biblical truth, and then watch God make the seeds you’ve planted begin to grow! I also think it will be a great gift for churches to give away to their visitors each week. There is even a space inside the booklet where you can place a sticker or write your church’s—or your personal—information, so people can contact you if they have more questions about what they’ve read.